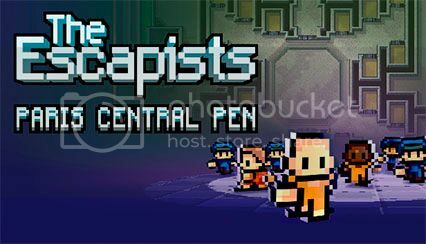 Home » Critical News » The Escapists Celebrates 1st Birthday with Free Map! The Escapists Celebrates 1st Birthday with Free Map! To celebrate a year since the release of The Escapists, veteran games developer and international games label Team17 and indie developer Mouldy Toof Studios have announced that they will be releasing a brand new free map, Paris Central Pen, which was made available for all PC, Mac and Linux owners of the game via a free Steam update yesterday. The new map is inspired by the La Santé Prison in Paris, which was home to the infamous Carlos The Jackal, and is renowned as one of the most brutal and notorious prisons in France. The 8-bit prison escape game started life as a Kickstarter project, and has sold over 1.25 million copies since its release a year ago on PC and Xbox One. The Escapists has also been released on Xbox 360 and PlayStation 4, and an update has been promised to bring the new map to Xbox One and PS4 consoles at a later date.